Summary: Working with technology designers can save you money, time, and effort on your command center project. 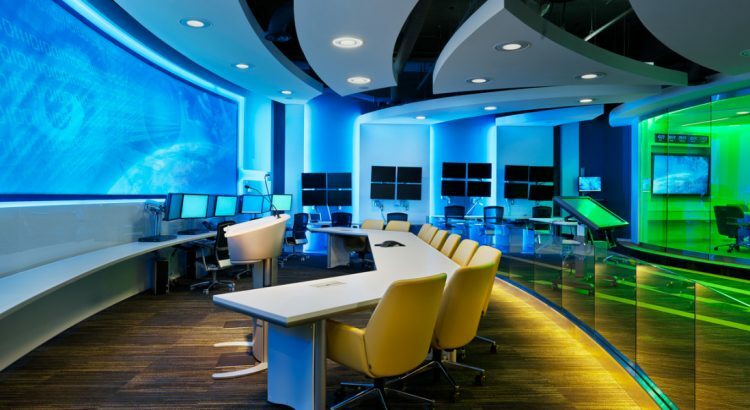 Technology designers plays a key role in the overall success of a command center. Just like architects and engineers have an indispensable place within the overall design, the technology designer is now a critical component to a successful output. This is more of a non-traditional approach to design – essentially moving away from the 20th century way of thinking. This may require some adjustment in the thinking of clients, architects, and the rest of the team, but it’s also an absolute necessity when it comes to successful command center projects – which ironically relies on technology to thrive. The time to utilize a technology designer is at the beginning stages of the project, never in the middle or towards the end. The reason behind this is that the technology designer can assist the owner in making strategic decisions which will have a significant impact on the overall success of the project. For instance, say you bring in a technology designer to take a look at the blueprints that the architect has drawn out and sees major flaws. It’d obviously require a redesign and because you haven’t started the construction phase yet, it shouldn’t pose much of a threat to additional costs. Remember, a technology designer can discover things like insufficient data centers, flawed video display placement, and inappropriate space, which all correlate to productivity and functionality. By catching problems like these and changing the design early on, thousands and thousands of dollars, along with months of wasted time and effort, could be saved. Blog submitted by Constant Technologies, Inc.: Let the experts at Constant Technologies, Inc. design the finest security operation center consoles for your organization. With decades of experience on their hands, Constant Technologies, Inc. has paved the way for effective custom command center design.